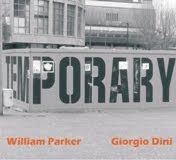 A welcome addition to the rare concept of double bass duets, with classically trained jazz bassist Giorgio Dini from Italy and William Parker interacting for five freely improvised pieces, with the former often on arco and the latter plucking his strings, but trust me, there are no rules, nor task divisions. On one short track Parker plays his shakuhachi, powerfully, plaintively. Parker's soulful bass playing forms the perfect complement for Dini's refined lyricism, as on "Improvizzo" when his powerful vamp forms the perfect background for the wailing arco of Dini. But the real treat of the album is the magnificent last track "Danza e Finale", which starts with piercing, howling duet of arcos, expansively, rhythmically, hypnotically, trance-enducing, until the whole thing slows down towards the middle and despite this the wails get even more poignant, like a love serenade by whales, with Parker adding some light percussion for contrast, and then he turns the piece back on a rhythmic powerful drive. The quality of the performance largely compensates for the EP's short length, and yes, I wish, you wish it would have been longer, but then on the other hand, these two great musicians capture so much of their instruments' wonderful range, power, rhythmic pulse, sonic possibilities and warm sensitivity, that even the limited time makes this a treat. This is an album that will not only please bass players, but any modern jazz fan. Recorded live in Coimbra, Portugal, this Swedish quartet and the enthusiastic audience do exactly what you would expect: play music and have fun. The four musicians have played together before in one or the other constellation. Alberto Pinton plays baritone saxophone, Jonas Kullhammar tenor, Torbjörn Zetterberg bass and Kjell Nordeson drums and vibes. As Zetterberg writes in the liner notes "This band is half of my own octet, half of Jonas's quartet, half of Kjell and Jonas's quartet "Nacka Forum" and more than half of Alberto's quintet", so there is no big surprise that there is a perfect fit, even if Clean Feed boss Pedro Costa asked them to perform together. The band does not break any new ground. Even if the music is largely improvised, themes and rhythms are part of the agreed musical concepts. But they play well, and what is more, with lots of intensity, interaction and enthusiasm, really enjoying themselves ... and the audience, whether they play uptempo or downtempo, jazzy or bluesy, 60s or 00s, dark or light-footed.Fun. I'm sure I miscalculated, but the sum so far is 3 albums this year with Joe Morris as a leader, and 6 as a sideman/bandmember, and the distinction between the former and the latter is also not always quite clear. That means nine in total, with the three below to be added, quite a prolific list this year. I have this ambiguous relationship to Joe Morris: sometimes I find him excellent, at other times I find him really hard to understand, but he is always adventurous, never satisfied with the status quo, and always striving for new approaches and high quality delivery. He can be very jazzy, with clear melodic and rhythmic figures, or very avant-garde, with abstract pointillistic notes creating unusual sound tapestries. Below, we move from the first to the last. 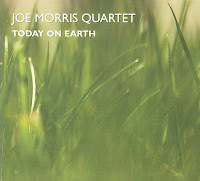 "Today On Earth" is made by the same band as "Beautiful Existence", with Joe Morris on electric guitar, Jim Hobbs on alto, Timo Shanko on bass and Luther Gray on drums. And like that album, the main strength here are also the truly wonderful compositions, which are refined, carefully structured, compelling and beautifully performed. Morris is without a doubt a good guitarist, with his own typical sound, yet here his playing is much closer to the traditional jazz guitar, and I must say, it suits him well. It's highly rhythmic, as if written by Morris the bass-player. And the band is absolutely stunning, in its pretenseless, unassuming playing, yet delivering a rare level of combined accuracy of tone and interaction, giving space, dialoguing well, giving the right emphasis at the right time, and adding loads of emotional depth: truly great. But as said, the real treat are the compositions, with theme's like "Animal", or "The Observer" that will keep ringing in your head long after you've stopped listening to the music. The music incorporates a lot, with a title already hinting at it : you have jazz (and a wide variety of it), African music, Middle-Eastern flavors, folk, a little blues, and lots of freedom and joy. Enjoy this beautiful existence, today on earth! 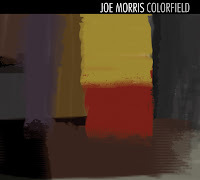 "Colorfield" has Joe Morris on electric guitar, Steve Lantner on piano and Luther Gray on drums. Their endeavor is produce the musical equivalent of the "Colorfield", a painting style that was popular in the 40s and 50s, "characterized by large fields of color spread across the canvas". The three musicians draw broad strokes of music, but working with agreed approaches of rhythm, harmony, phrase and tempo. Not unlike Cecil Taylor and Jimmy Lyons, the length of the pieces make the overall created sound into a mass of notes, in which the individual points are less relevant, it's the overall impression and auditory effect that counts. Abstract yes, but melodic too, with careful restraint precision on the first and third piece, with leads indeed to a strange kind of non-figurative clarity, and with more nervous and agitated work on the two other pieces. The album's title comes from a play by Harold Pinter, but it also refers of course to the metaphysics or even the biology of life itself. You need the necessity of certain laws to offer the possibility of freedom. Or, freedom in a void is meaningless. Sound does not escape from the laws of physics and your listener's ear's biological capturing and transforming of it. Yet within these unchanging set of fixed laws, the realm of possibilities is endless: stretching notes, using pitch and timbre differently, playing around with them, bouncing them off against each other, with the other musicians, interacting, acting together, changing courses, coming back home again. 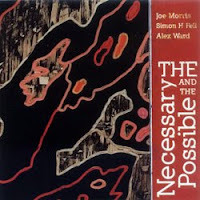 Not an easy task, but with three musicians with experience and expertise, a pleasure to listen to : Joe Morris on acoustic guitar, Simon H. Fell on bass and Alex Ward on clarinet. The latter's voice is possibly the most dominant one for obvious reasons, but it thanks the way it moves and sings and swirls to the more muted yet equally powerful sound of the guitar and the bass. Abstract, but quite enjoyable. 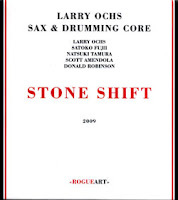 No doubt Larry Ochs is one of the best modern saxophonists and creative musicians, possibly best know from the ROVA Quartet, but some his recent work is also stellar, such as "Up From Under", with his Drumming Core trio. The trio is just him on saxophone accompanied by two excellent drummers, Scott Amendola and Donald Robinson. Next to that he has many projects, often with unusual line-ups and daring musical vision. For this album, the trio found kindred spirits in the Japanese couple Satoko Fujii on piano and synthesizer, and Natsuki Tamura on trumpet. The commonality in their approach is their virtuoso mastering of their instruments, combined with an almost obssesive compulsion to innovate. The third, and possibly most unusual one, is that they have a kind of dramatic, almost cinematic approach that conjures up a certain imagery in the unconscious (at least it does to me). 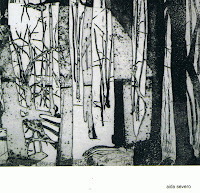 The long first piece on the album starts quite rhythmic with the trio launching in a powerful drive, but then the whole piece gets transformed, with the synth sounding like organ, being pounded and tortured violently, then evolving into a weird almost middle-eastern tune turning into jungle sounds, then becoming wild, and hypnotic, propulsed forward by a mad beat and the eery screams of the trumpet. The second piece starts with dissonant piano-playing over which the two horns fall in with a long, meandering unison theme, ending in beautiful soloing by the trumpet over a chaotic backdrop of piano and percussion, like a seagull flying calmly over stormy waves crashing high against dark rocks, at night, but then the piece is expertly deconstructed into short repetitive phrases, in an increasingly halting rhythm. The third piece is even more abstract, as a spontaneous collage of sound interactions, turning into a quite dramatic, intense and almost theatrical musical scenery, indeed fit to accompany a Kurosawa movie, to whom this track is dedicated. The last piece continues in the same direction of musical paradoxes, leading to a great feeling of built-up tension and occasional relief: it is rhythmic and not, it is lyrical and dissonant, electronic and acoustic, harsh and smooth, powerful and soft. There are moments that you really do not want to hear, and some you want to get back to time and time again, but these two parts need each other to get the impactful effect you get here. Strong stuff! There are albums that are gripping from the first moment that you listen to them, others have to ripen through repeated listens. "Bendowa", a title that refers to the book by the Japanese zen master Dogen, belongs to the first category. From the very first notes, the trio's approach is clear: lyrical, sensitive, free and creative improvisation. The lead voice is by Nobuyasu Furuya on tenor saxophone, bass clarinet and flute, with Hernani Faustino on double bass, and Gabriel Ferrandini on drums and percussion. The trio is based in Portugal and totally unknown to me. But I'm glad that's no longer the case. Furuya's tone is buttery and warm, even in the fiercest parts of the improvisations, and the Portuguese rhythm section is a perfect complement for the Japanese: their sense of "controlled passion" is just as great, as is their use of silence. In this silence, and in the calm elaboration and patient sense of pace, his apprenticeship as a cook in a zen monastery shows through, yet don't get me wrong, this is not music for meditation: it's as passionate and expressive as you could hope for, full of intensity. This is not the music of an enlightened soul. This is music of an authentic soul, a seeking soul, full of contradictions and tension. This is music of full of soul, full stop. Highly recommended. Don't be misled by some of the Youtube clips of the trio: the music on the album is much more controlled and sophisticated, and of course with an excellent sound quality. Blues legend Muddy Waters' major hit Mannish Boy comes to mind when you hear the title, with its basic heavy blues beat and the great simple ironic text, full of the boasting self-confidence betraying insecurity of the growing adolescent, the contradiction that gives the music also its tension. The subtitle completes the definition of this trio's music : "A Raw And Beautiful Thing". 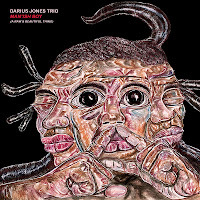 With this recording, alto saxophonist Darius Jones brings back to life his youth and growing up in the south of the US, and it should not be a surprise that the music is influenced by blues, gospel and jazz, but then altered in a very modern sound, with two apparent soulmates: Cooper-Moore on piano and diddley-bow, and Rakalam Bob Moses on drums. Soulmates because of their irreverent respect for tradition, their love of the direct emotional impact of rhythmic drive and soulful vamps. And even if the rhythm is implicit or evolving, as on "We Are Unicorns", on which the sax and the diddley-bow are in full dialogue, rhythm is omnipresent in the dark and eery tones of Cooper-Moore's instrument and the screeching wails of Jones' sax. But then on "Meekness", the style switches to an almost romantic trio playing a sweet melody that is gradually turned into a passionate paroxysm of emotional relief, only to be reduced to loose threads of sounds at the end. "Salty" is a short but poignant trio improvisation on which Jones demonstrates the subtlety of how a single tone can have many colors and sensitivities. "Chasing The Ghost" has a powerful forward drive, as the title already suggests, and a great vehicle for the musicians to let all their energy loose. "Big Train Rollin'" is a slow train, with the steam coming out of various pipes and valves, grinding machinery with high, shrieking notes of the alto, alternated with a deep note and back up again, and the whole thing comes to a slow halt at the end. The last track is more traditional and meditative and evolves into a bonus track with Adam Lane on bass and Jason Nazary on drums, a nice track by itself but somewhat altering the overall tone of the album. As the subtitle says : "A Raw And Beautiful Thing". You can hear the potential, you can feel his passionate musical vision. With his debut album, he's already far above average, and I can't wait to hear more from this saxophonist. I forgot to mention two other upcoming/just released Ken Vandermark albums. I don't have them, and I haven't listened to them yet (sounds logical). Actually, Vandermark updated his website and added the records I reviewed earlier this week, together with some new material. 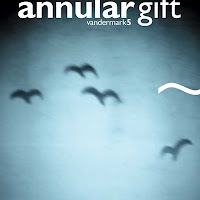 I just wanted to notify you in case you already decided to start spending your carefully collected coins on Vandermark albums: there is even more choice than you expected. Reviews will hopefully come soon. At least we're all on the same page now. “Call Before You Dig,” Sonore (Okka Disk): Sonore (Peter Brotzmann [reeds], Mats Gustafsson [reeds], Ken Vandermark [reeds]) release their 3rd album, a double cd for Okka. 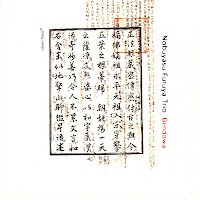 Recorded at the Loft in Cologne both in concert and “in the studio” during December 2008, this album contains 22 pieces of Improvised Music that run the gamut of expressive energy and melodic power, as well as a composition by Brötzmann and Jimmy Giuffre A thorough and exciting statement about where this trio was then and is heading now. “Light On The Wall,” Daisy/Vandermark Duo (Laurence Family): Tim Daisy [drums] and Ken Vandermark [tenor/Bb clarinet] toured Europe in May of 2007 for nearly a month, and recorded this double lp for xxxx to be released on his vinyl-only label. 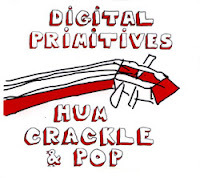 Two years ago this trio released the rather groundbreaking record "Digital Primitives", all fun and great music, and their sophomore album continues in the same vein: all fun and great music. 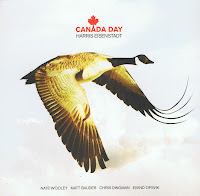 The creators are Cooper-Moore on a wide variety of self-invented instruments such as diddley-bow, mouth bow, bango, (and voice), Assif Tsahar on sax and bass clarinet, Chad Taylor on percussion. The band's name is quite apt, because the music is simple in essence, based on the blues, on funk, on the jazz tradition, but like this music, the essence is not in the complexities of harmonies, but on the quality of the performance combined with the entertainment factor. And to be sure, all three musicians shine on this album. Chad Taylor's wonderful drumming on the vocal track "People", or Tsahar's piercing wailing on many tracks, and Cooper-Moore's wild instrumental ideas and sounds can do nothing more than create awe and pleasure.The digital aspect is hard to find, but their own musical joy in primitive, almost tribal or organic sounds, is absolutely fabulous, whether the sweet guitar harmonies and sax on "Love Truth", or the "The People", a kind of social rhythmic rap reminiscent of the directness of Gil Scott-Heron's "The Revolution Will Not Be Televised", but they also bring "Somewhere Over The Rainbow", with sweet sax over weird, dark animal-like sounds as accompaniment, extracted from Cooper-Moore's didley-bow. Part of the music was inspired by a journey Tsahar and Cooper-Moore made to Ethiopia for the “Festival of a Thousand Stars”, where more than 50 distinct local cultures presented their music. If you stay on the beaten track, you will never go anywhere new. Well, these guys help you into a novel musical experience. The nice thing about being a fantastic musician, is the chance you get to play a lot, in various line-ups, clubs and regions, possibly leading to lots of gigs and the possibility for new releases. 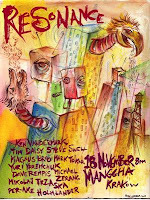 So it also goes with Ken Vandermark who no longer needs to be introduced. What sets him apart from many others, is his incredible dedication to his work, and the loads of work that he puts in every performance and release. Even if improvisation is his key strength, he does not leave much to chance either, while willing to take risks at the same time. Some of his ventures are less successful, but many of them are excellent. He releases so much that he can't even keep track of them on his own website. But it's also the reviewer's nightmare : how to cope with all these new releases, how to listen to it all with the attention the music deserves, how to adequately describe their value, musical differences, and possibly even recommendations? Two years ago I never got to review the "Alchemia" 12 CD box, because it took so much time to listen to it all. So, again, I haven't listened to all these albums as I should have done, but waiting for a couple of months will not help you either as a listener. I can only announce these CD's existence. Possibly Vandermark's best known band, with the leader on tenor sax and Bb clarinet, Dave Rempis on alto and tenor, Fred Lonberg-Holm on cello, Kent Kessler on bass, and Tim Daisy on drums, it is also the band with the most composed material. All pieces have composed themes, are highly rhythmic (and how! ), that are also the absolutely delightful backbone for the whole band to demonstrate their improvisational skills. The arrival of Fred Lonberg-Holm on cello and electronics some years ago clearly gives a new flavor to the band, especially when he plays arco and in counterpoint to the horns, as in "Second Marker", or on wild almost electric guitar-like excursions as on "Cement". This is one of the best Vandermark 5 albums, with a relentless drive all through the album, alternating traditional jazz unison arrangements with absolutely avant-garde improvisations and detours, with lots of body, but not the really danceable kind, with lots of soul, but then of the tormented kind. The way these five musicians interact is among the best of that can be heard, without a doubt. They build complexities on complexities, even made more difficult by the breakneck speed of some of the pieces, but it's all dealt with in the most organic and natural of ways. This music will surely not only be the envy of every musician, but also of every composer and arranger. I was full of praise for "Resonance", a vinyl LP that was released earlier this year on the Polish Not Two label. And well praise leads to repeat behavior, and the result is this 10-CD box, with performances that were recorded in Krakow, Poland between November 12 and 16, 2007, and in Lvov, Ukraine on November 17, 2007. The band consists of Vandermark on tenor, baritone sax, and clarinet, Magnus Broo on trumpet, Tim Daisy on drums, Per-Âke Holmlander on tuba, Dave Rempis on tenor and alto saxes, Steve Swell on trombone, Mark Tokar on bass, Mikołaj Trzaska on alto sax and bass clarinet, Yuriy Yaremchuk on tenor, soprano and bass clarinet, and Michael Zerang on drums. The line-up changes over the week of playing, with surprisingly enough Vandermark himself often not even part of the band, leaving the sax part to Rempis, Trzaska or Yaremchuk. The music itself is a pure delight of jazz, with an excellent balance of strong compositions with lots of references to the entire jazz history, with on the other hand far-reaching and wild excursions into more uncharted territories, but the whole thing is a pleasure to hear, and the musicianship demonstrated is among the best you can hear, whether crazy, refined, bombastic or subtle, emotional or just plain chaotic. The great thing is that this band, even after the pure chaotic technical acrobatics in the stratosphere, always falls back right on its feet, as if on cue. The first seven CDs are all "small group" improvisations, with disk 6 offering close to thirty minutes of drum duets between Zerang and Daisy.On some parts you have the horns without bass or drums. All various aspects of the same approach: fun and great. Disk 8 has almost the entire band (minus Zerang). CD 9 and CD 10 are played by the entire band, with the latter an exact copy of the earlier released "Resonance" LP. If I'm not mistaken, this is the fourth duo release between Vandermark and Paal Nilssen-Love on drums. The latter seems to enjoy the format, having released duets with John Butcher, Joe McPhee, Mats Gustafsson. The first piece brings Vandermark in his usual highly rhythmic, almost funky improvisation, with Nilssen-Love equally playing up a storm. 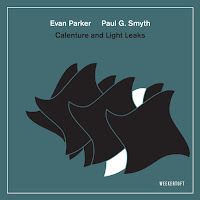 Things slow down afterward and become real sensitive on the second track, with the occasional outburst of power and anger, and more abstract on the third piece, with Vandermark taking up his bass clarinet on both tracks. The last piece is called "Mort Subite" or "sudden death", the name of a Belgian beer and also a famous café in Brussels. 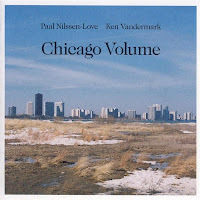 Another CD of the duo is in the making on the same label : "Milwaukee Volume". 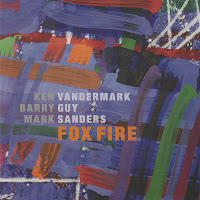 This double album brings the unusual combination of Vandermark's fierce and soulful sax with two of the most prominent figures of the European free improv scene, bassist Barry Guy and drummer Mark Sanders. 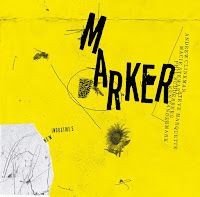 The nice thing is that it shows Vandermark's more adventurous side, the one that can move freely and without any compositional or structural constraint, except for the interaction with the two other musicians. 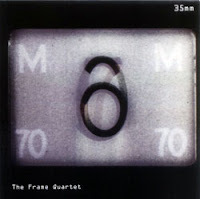 The Frame Quartet is a new band in Vandermark's catalogue, a kind of alternate V5, with Tim Daisy on drums, Fred Lonberg-Holm on cello, Nate McBride on bass, and of course Vandermark on sax and clarinet. The music is less structured or composed than The Vandermark 5, with an infusion of ideas that come from other musical genres, including film and underground rock, but influences from the blues or the avant-garde are also obvious. As usual, the pieces are dedicated to the composers' musical heroes : Peter Brotzmann, Han Bennink, Fred Van Hove, Ennio Moricone, Jimmy Lyons, Steve Lacy and Merce Cunningham. So, what can I recommend? If you have a big wallet, go for the 10 CD box. If you prefer a new blend of things, go for the Frame Quartet. Watch the Vandermark 5 in Lubljana (Slovenia) earlier this year. Clean Feed really is the label that spots most of the upcoming talent: here again, Chicagoan drummer Charles Rumback gets a chance for his debut release with a band consisting of the double sax front of Joshua Sclar on tenor and Greg Ward on alto, and with Jason Ajemian on double bass. The music is interesting for a variety of reasons. First, because the compositions integrate elements of a non-jazz origin easily, in a typical post-modern fashion (is that what he means by the one kind of art thieve in the title?). Second, because the music is totally unlike what you would expect from a drummer, whose role is fully in support of the two horns that slowly build the music. I almost wrote "reducing his role", but that's not the case: the accents, the rumblings, the rolls, play a quite important part in the overall atmosphere, adding color and drama to the slowly evolving dialogues rather than rhythmic support. The music itself is impressionistic, very gentle and sensitive to sound quality, with the saxes playing almost without air pressure, like a light breeze, barely touching you, but touching you all the same. But not only Ward and Sclar, but also Ajemian's arco is precize and pure. Things get a little more agitated with "Four Ruminations", on which a mid-tempo repetitive sax riff is the core around which the rest of the music evolves, but with the next track the now familiar calm development returns. 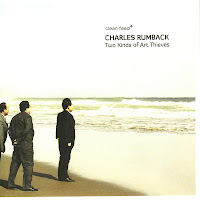 Rumback managed to create his own voice with a first release : subtle and sensitive, with lots of attention to the overall sound, really sounding like the early impressionist painters : you still see the figures, but barely, the apparently random soft colors create a shining and warm vision, which becomes the dominant feeling of the listening experience. I must admit that it took a while before I wanted to listen to this album, because I feared an endless parade of undefinable sounds, clicks and quacks and squeals, the kind of avant-garde meaninglessness that I abhor. But I was wrong. Totally wrong. With titles inspired by the late Cuban American artist Felix Gonzalez-Torres, Swedish saxophonist releases his second solo album (vinyl LP on 500 copies only), and it is a solid one. He is an absolute master in getting highly sensitive, almost emotionally painful notes out of a real physical struggle with his horn, making it weep and scream and howl, with one voice, with many voices, shouting through it, or softly whispering. The real value of his playing does not lie in the incredible technique he demonstrates to extract so many different sounds out of his instruments, that's just the basis, the real artistry is what he does with it, using them to make indeed a piece of art that will leave nobody indifferent. He can be so gentle and sensitive while being so authentic and raw and violent at the same time. Like life itself, it's a long struggle between attraction and repulsion, between understanding and alienation. Out of this conflict, out of this tension, a great aesthetic arises, not always a nice one, and definitely not an easy one, but an emotionally very rewarding one. The physicality and the direct emotional impact are in line with one another, are the same thing, are impossible without one another. Angry and sad at the same time. And deep, so deep. He doesn't compromise, and that makes it so great and real. It is not an easy task to bare your soul like this. Paul Rogers managed it on "Being", Gustafsson does it here. Don't miss this one. Marty Ehrlich is without a doubt a fantastic saxophonist, former member of Julius Hemphill's sextet, but also a creative artist who's been struggling to find his voice over the past decade, changing line-ups, playing around with styles and sub-styles, but always with an incredible sense of quality and high level of band members. His Dark Woods Ensemble, that originally featured Abdul Wadud, the cellist of the Hemphill band, later succeeded by Erik Friedlander, is without a doubt his most successful endeavor so far in my humble opinion. 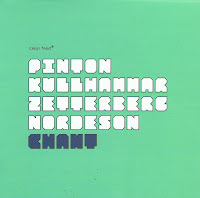 On this album he changes the line-up again, with Pheeroan AkLaff on drums, with whom he already played on his first album in 1984. The great change is the presence of James Zollar on trumpet, a musician who is lyrical, very rooted in traditional bluesy Armstrong tones, yet equally versatile in the most modern improvisations. So far, Ehrlich always appeared to enjoy collaborating with fellow saxophone or clarinet players, such as Ben Goldberg, Stan Strickland and Tony Malaby, so the sax-trumpet front adds a new sound dimension, one that is more crisp and open-ended. At the same time, the combination of the alto with the cello adds to the lightness of the higher tonal regions, accentuated by AkLaff's stellar cymbal work. It is - not by coincidence - the same line-up as on Julius Hemphill's "Dogon A.D.". The music itself is hard to describe: it's post-modern jazz, carefully composed and arranged, with lots of room for powerful and emotional improvisations, and possibilities to venture into more free and avant-garde areas, a whole range of jazz approaches that can even be present on one and the same track ("Song For Tomorrow"). The music is joyful as on the swinging "Dung", dark and sad as on "From Strength To Strength", deeply melancholy and contemplative on "Some Kind Of Prayer", only to end with one of the most magnificent pieces of music ever written, Julius Hemphill's "Dogon A.D.",* the wonderfully hypnotic composition that is driven by the repetitive arco cello tones, over the mad 11/8 rhythm, with the horns finding their theme around and against the pulse. True, it is not the original, and even trying to cover it takes courage, but the performance is of a really top-notch level. As is the entire album actually. Four stellar musicians making great music. What a joy! * If you happen to have the Hemphill original, play both versions one after the other, and you will notice the difference between superb and very good. 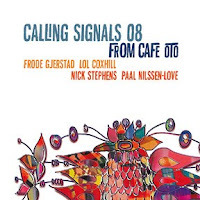 Calling Signals is a band started by British bassist Nick Stephens and Norwegian saxophonist Frode Gjerstad (here on alto and clarinet) in 1994 (with Paul Rutherford and Terje Isungset), with now in its fifth incarnation Lol Coxhill on soprano and Paal Nilssen-Love on percussion. The music is closer to free improvisation than to real free jazz, avoiding anything close to repetitive patterns in rhythm and melody, but focusing completely on the sound interaction between the musicians. The end result is can be expected by such seasoned artists : clashes of ideas bouncing around, sometimes harsh, sometimes remarkably gentle, full of in-the-moment intensity and drive. Spread over two pieces, one eleven minutes, the other fourty-three, you're part of a musical universe of a strange intensity, little notes, fierce intensity, rapid-fire percussion, raw intensity, gut-piercing bowing sounds, birds dialoguing, howling tones, sweet tones, dense intensity, plaintive tones, physical intensity, squeezing distress out of horns, hitting anger out of anything, pulling warmth out of strings, drama, emotion, just music, unbound. I was quite enthusiastic recently about EASilence, a collaboration between Mirio Cosottini on trumpet and Alessio Pisani on bassoon and contrabassoon. And now, some months later, their new project is already out, and again with staggering results. The duo has become a quartet, with Andrea Milani on drums and Tonino Miano on piano. The approach is different, yet keeps the same sensitivity and inventiveness.The presence of piano and drums give the music a clearly more jazzy feeling, but not always. The percussion and the piano sometimes add sparse notes to complete eery soundscapes, closer to new music. 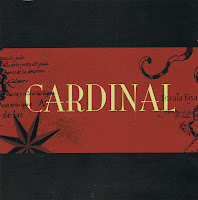 The band's name comes from the four "cardinal points", (and not the senior ecclesiastical official of the catholic church). It was chosen to reflect a multidirectional sound, a kind of geography in which the way has to be found, in which no roads are available, it's the world before borders and lines, yet real nonetheless. The musicians converge, rotate around a central point, then diverge and go back their own way. The music is as accessible as it is adventurous, cerebral and emotional, programmed and spontaneous, it's jazz and classical, recognizable yet never heard before, grave and light-footed, but with an aesthetic beauty and sensitivity that can only be admired. So is the musicianship: listen to the quality of the sounds, the ideas, the interaction but also the restratint they show. So is the artistry in the variations of the compositions, from the deeply sad "Bianca" to the fun "Jump-U-Funk" over the eery "Exmod 1", yet strangely enough not straying from the overall vision: it all fits nicely. Exceptional! Listen and download from Impressus Records. How to find the right middle ground between simplicity and complexity? Too much elaborated pieces tend to be stifling for direct emotional delivery and spontaneous interventions, but you have the expectional results of some bands that prove the contrary (Little Huey Orchestra, Exploding Star Orchestra), and if it's too simple, you need to be a fantastic instrumentalist too keep the attention going. Think of some of Wadada Leo Smith's albums or Peter Evans. What the extremes show, is that when you do, you have to go all the way, diving into those regions of unexplored music that touch the soul and the heart directly and differently, leading to a gripping listening experience. If you get stuck in the middle-ground, hesitating between the two approaches, you risk to get caught in the vast majority of records that are published, and that are interesting at best. Sometimes, a few get above the mowing line, mixing both, and the ideas and inventive musicianship make them noteworthy. You will rarely have heard an album that starts so slowly yet full of determination as this one. Colin Fisher's guitar chords ring every few seconds without moving too much, and when after six minutes Brandon Validivia makes his cymbals sing, you know you're in for something special. Just one track of close to thirty-nine minutes, ending quite dark and intense. The gradual increase of power is of course an often used effect, but well, ... it still works. Alto saxophonist David Crowell is joined by Grey Mcmurray on guitar, Mike Chiavaro on electric bass, and Jason Nazary on drums. 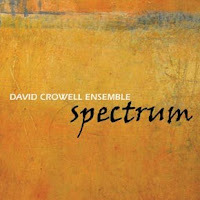 Crowell played with Philip Glass and that can be heard on some of the tracks where repetitive themes shift over rhythm, but he also varies well with powerful uptempo pieces built along long unison lines. Lots of ideas by this young band, still a little struggling to find its own voice. 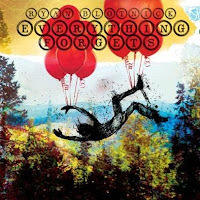 On his second album, guitarist Ryan Blotnick moves into a kind of post-jazz era, playing more rock-ish rhythms, and a ligt sweet sensitivity that almost sounds poppish. With Joachim Badenhorst on sax and clarinet, Simon Jermyn on electric bass, Jeff Williams and Joe Smith on drums, Perry Wortman on bass. Stylistic and refined. 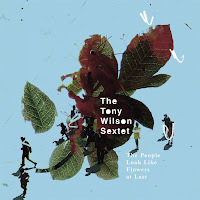 Guitarist Tony Wilson brings together a great band of some of today's best Canadian musicians, with Kevin Elaschuk on flugelhorn and trumpet, Dave Say on saxes and flute, Peggy Lee on cello, Paul Blaney on double bass, and Dylan van der Schyff on drums. 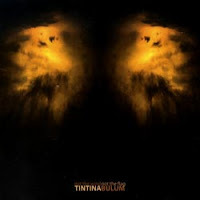 The music on the album brings a mixture of hauntingly beautiful pieces, with sometimes too fusion-oriented modern jazz. Wilson does not shy away from complexity, and the first part of the album is actually a reworking of Benjamin Britten's "Lachrymae" (unfortunately misspelled on the album sleeve), but I have the impression that the musical formalism is too much of an objective in itself, rather than an inspiration to develop new listening experience. Still, the album has its great moments. Based on the "Soundpainting" improvisation technique of Walter Thompson, the pieces by this septet sound very composed, and even well arranged. Mixing many jazz styles into one very coherent whole, making this a quite entertaining ane enyoyable album. With Eric John Eigner on drumset, James Ilgenfritz on electric bass, Adam Caine on electric guitar, Sam Kulik on trombone, Jeremy Danneman on alto sax, Lorenzo Sanguedolce on tenor sax, and Evan Mazunik as the soundpainter. After his magnificent African-inspired album "Guewel", Canadian drummer Harris Eisenstadt returns to his native soil, celebrating his home country. The band further consists of Nate Wooley on trumpet, Matt Bauder on sax, Chris Dingman on vibes, Eivind Opsvik on bass, in short some of the best young musicians around. In stark contrast to some of his previous albums, the music here is composed, and slightly left of center. I'm sure that many mainstream lovers will also enjoy this one, yet the album has at the same time a kind of unpredictability, a freshness of approach together with an enveloping warmth that is quite unusual. And that sensitivity is to be found in the compositions, the playing and in the interaction. With this band Eisenstadt not only brings a synthesis of many jazz subgenres (from the cool vibe sounds of the sixties to the kind of more modern Dave Douglas approach), but he brings it a step further, showing how modern music can be at the same time clever, rich in texture and emotionally intense. Credits go the whole band, who really play as one. Wadada Leo Smith is like the Roman god Janus : he has many faces, but he's always the same. Whether he plays contemplative solos or duets, or complex modern jazz like on "Tabligh", or his endless odes to the electric Miles Davis, he is always the same musician, the same artist, just expressing himself differently. 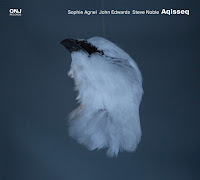 On this album, you get two faces in succession : the first CD is a performance with his Golden Quintet, with Vijay Iyer on piano and synth, John Lindberg on bass and Pheeroan AkLaff and Don Moye on drums, the latter expanding the known quartet. The music is very much in the same vein as "Tabligh", a high quality and quite creative mix of composed improvisations, and a fantastic illustration of what five virtuosi can accomplish together. Smith's compositions are abstract, expansive, soaring, angular, sophisticated. The quintet is brains and emotions, and spirit. On the second CD, the "Organic Resonance Ensemble", is more inspired by the electric Miles, and although the hypnotic rhythms, the electric bass and the electric guitars are omnipresent, so is the spirituality of Smith's trumpet playing. Next to Smith, the band consists of Nels Cline, Michael Gregory, Lamar Smith ánd Brandon Ross on guitars, Okkyung Lee on cello, John Lindberg on double bass, Skuli Sverisson on electric bass and Pheeroan AkLaff on drums. Despite this heavy line-up, the music keeps the clarity and discipline we've come to expect from Wadada Leo Smith. Just listen to the two basses pumping on "South Central L.A. Kulture" and the guitars waiting their turn to each come with subtle interjections and supportive riffs and coloring. Smith's compositions are expansive, linear, soaring, rhythmic, funky. The Ensemble is body and emotions, and spirit. "Stef, again a five-star rating! You must be joking?" Whit Dickey, who is best known for his collaborations with David S. Ware, is not only a great drummer, the four CDs that I have of him as a leader all rank with four stars (in my obsessive personal bookkeeping system). His music is free and creative, while keeping this soulful edge that is so typical of David S. Ware, but also of Daniel Carter, who plays sax, trumpet and flute on this album. 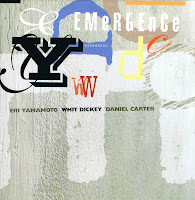 The trio is completed by Eri Yamamoto, who is in essence more post-boppish than free (if these categories mean anything), yet her more structured and at times impressionistic style form the perfect complement for Carter's exuberant and spiritual soloing and Dickey's measured polyrhythms. The trio drags you into their quite accessible but beautiful tonal world, aptly starting with a long drums intro, followed by introspective piano, and beautiful trumpet-playing. The pieces on the album range from the slow eery "Mobile", with sparse drumming and measured piano keys supporting Carter on flute, to the pounding "Last Taste", on which tenor, piano and drums engage in a fierce collision of earthly forces, leading to spiritual eruptions. The album ends with the most intimistic and romantic improvisation, led by Yamamoto's piano, and on which Carter softens in an unusual way, moving into more traditional playing, yet keeping this dancing spirit of freedom. Even if Dickey is a great drummer, his real power is again illustrated by this beautiful album: to him it is all about the music. What a great trio! I hope they will release more albums. 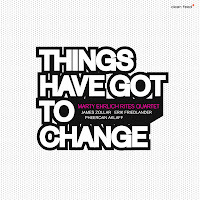 Regular readers of this blog know about the joy I find in trumpet music in small ensembles, and here is another album to enjoy from beginning to end. You will hear Herb Robertson like you've seldom heard him, stretching his notes, creating something like melancholy soundscapes, introspective even. 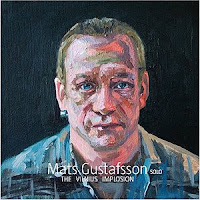 And much of the credit for this great music goes to Danish guitarist Mark Solborg who invited Robertson for this recording as a kind of side project for the quartet they were performing with. Solborg's guitar playing is minimalist, sober but quite effective, reducing tones and interaction to the bare essence, but creating more substance in a few notes and chords than what many are not able to create by building layers of rapid speed violence. No speed here, no violence either, only calm and careful interaction, subtle and sensitive. Quite a contrast for the guitarist too, whose Mold album of two years ago shows a much harsher rockish side to his playing. The music on this album is fully improvised. 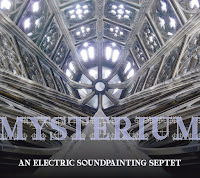 The slower melancholy tracks are alternated with more quirky pieces, on which the symbiosis between the two instruments becomes even more immediate and intense, and on which Robertson explores the many possible sounds out of his instrument as we would expect, as on "Komplet Komplot". 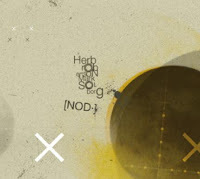 The title refers to many different things, from the basic term of "nodding", to "the land of Nod", or even the abbreviation of a Nocturnal Observation Device, and the two artists play around these many meanings, from mutual understanding to the eery lands of the imagination where few have gone to making the invisible (or inaudible) a reality. 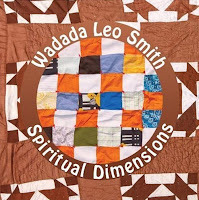 A wonderful album, that meanders between the late evening blues of Miles Davis' "L'Ascenseur Pour L'Echafaud" over Wadada Leo Smith's more contemplative albums such as "Compassion", but then adding the spicy avant-garde inventiveness of these two excellent musicians. Stunningly beautiful. I love it! But the best review of this album was written by the great Scottish author R.L Stevenson, a poem apparently appreciated by both musicians. Because I listened earlier today to L. Subramanian's solo violin album, I thought I would add a short memo on the topic of this rare kind of performance. 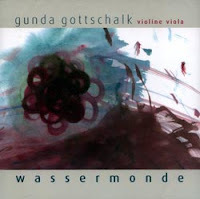 Gunda Gottschalk's Wassermonde, dating from 2004, is one I recently discovered, and also highly recommended for the more adventurous listeners. Here is a limited list of jazz solo violin albums. In the international classical music, L. Subramaniam - "Three Ragas For Solo Violin" can be recommended, as do of course some of the real classic works by Bach, Paganini and Bartok. Add to that Eugène Ysaÿe, Paul Giger for the more modern composers and performers. The clarinet is possibly a lead instrument that spans the broadest range of musical genres, from classical, over folk, klezmer, Turkish, balkan, to jazz, and soundtracks, from street musicians over dance bands to funeral bands. Austrian clarinetist and alto-saxophonist Max Nagl masters all these genres too. His trio, with Clemens Wenger on keyboards, and Herbert Pirker on drums, released the Robert Wyatt tribute album "Market Rasen" some years ago. Now they move into a quite interesting genre-blending exercise, incorporating all the musical genres mentioned above, adding rock, progrock and avant-garde to the list, often intertwining them in the same compositions. The end result is quite satisfying, with often unexpected musical developments, but a little too much an exercise in style, which goes a little to the detriment of authentic expressivity. 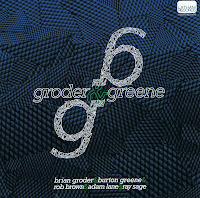 More than two years ago trumpet-player Brian Groder released "Torque", a stellar CD with Sam Rivers on sax. Ever since, I've been scanning the usual information sources, eager to find new material by him, wondering what happened because I couldn't find any, but here it is: finally. The band is co-led by pianist Burton Greene, with Rob Brown on sax, Adam Lane on bass, and Ray Sage on drums. Quite a band! And so is the music. Which is as free as it gets, and quite disciplined at the same time. Brian Groder explains "We would discuss the possible form, order of instruments entering and exciting, moods, dynamics and tempos ... but there weren't any melodies/lines, chord or special structure we we reading down". And even if that is the case, very often that is not how it sounds. Each piece has a very clear sense of direction, allowing indeed for much freedom in the interplay. 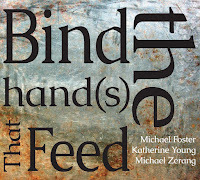 "Separate Being" for instance has a clear rhythm and the forward drive with the interweaving solo instruments, including Lane's bass, brings us back to the best free jazz of the seventies and eighties, while "Amulet", a hornless piece, with lots of extended techniques has a more avant-garde approach, but somehow, out of the interactions, a common voice arises, creating pleasant surprises. 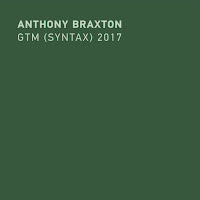 "Cryptic Means" in turn, is a duet between trumpet and piano, more introspective and meditative, evolving from the beautiful towards a more nervous intensity. "Nigh" starts with a funky beat on the drums, over which sax and trumpet start a great duel of call and response. I will not review every track, but you get the gist of it : lots of variation, lots of musical ideas, lots of fun too, and emotional moments, ... what more do you want? So, in sum, again a great album. Some jazz musicians publish more than is possible to keep track of, other artists remain shamefully underrecorded. Groder clearly fits in the latter category. Not only for his technical skills on the trumpet, but also for his musical ideas. Listen and download from the artist's website. "Listening to a recording of free jazz is a bit like watching travelers in a busy train terminal. People of all sizes and colors are moving in every direction; some of them are headed out of town, while some are on their way home. What these folks share is the need to get to the platform or the street straight away, and each pace, sidestep and sudden, momentary halt serves this heightened sense of purpose. Before long, what was initially perceived as a formless mass becomes perceptible, if constantly changing currents, carrying people to their destinations. There is no superstructure to it per se; but there is an organic quality that is fascinating to behold. One reason this analogy holds any water lies in the sophistication of free jazz practitioners as travelers, one that extends far beyond the ability to bob and weave through a crowd. It is the acuity that comes from regularly being in transit, the sharpened sense of time and of the changing options each moment brings, that is most pointedly applicable to free jazz. Free jazz is music of, by and for the moment, a navigational, not an architectural endeavor. Certainly, each moment brings formal considerations to the fore; yet, the appropriate response is to deal with them in passing, as the next moment will present more. In doing so, the integrity of free jazz as a method – as opposed to a genre – is maintained. Free jazz has retained its vitality in large measure because it is resistant to codification – there’s no fake book for it. This is extraordinary, given that free jazz has now been extensively documented and strenuously scrutinized for approximately a half century, roughly the time span between Stephen Foster’s “Beautiful Dreamer” and Arnold Schoenberg’s Pierrot Lunaire. Now in a cusp where early practitioners are collaborating with their beneficiaries, free jazz can reassert its values within a context that gives priority to history or to the moment, which exists beyond the clutches of history." I am not a real fan of modern piano albums. It's hard to explain why. I prefer the more expressive power of horns. I often find piano music too cerebral and scholarly, with too much focus on the compositional and improvisational skills rather than on the musical experience of the listener. Or maybe it has to do with the aristocratic descent of the instrument, even today, as reviewed below. The interaction with other pianists changes this prejudice slightly, possibly because of the interaction and the contrast the two instruments offer. 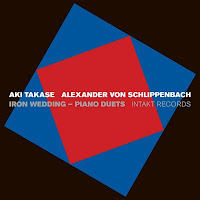 Here are three new piano duet albums that are worth listening to for the fans of the genre. 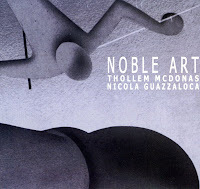 Thollem Mcdonas plays the piano on the left, and Nicola Guazzaloca the piano on the right, with the title making reference to the noble art of boxing, the rules of which were laid down by the Marquess of Queensberry. The metaphor works for some pieces, on which power, skills, suppleness and rapid-speed reaction meet elegance and mutual respect, but it does not match the quieter moments, which are more like a slow dance, with the musicians circling around each other, touching once in a while, but with grace and even tenderness. And of course, the whole idea of improvising together is not to win, but to engage in great interaction, of which you get plenty here. For those who don't know, Pannonica was Baroness Pannonica "Nica" de Koenigswarter, one of the leading jazz philantropists, supporting musicians such as Charlie Parker and Thelonious Monk, and also a composition by the latter in her tribute. The Canadian and the French pianist are versatile in the most traditional environments, but their natural biotope is this creative modernism, with reminiscences to classical, but also inherently bluesy. Just listen to the playfulness of "Divide Comedy" as a reference, or "Water's Edge", with its fine African rhythms. Their style is rather minimalistic, almost pointillist at times, rather looking for the right note than for the long or powerful phrasing. Their use of extended techniques gives this great album some additional flavor. The Japanese and German pianist (a count by aristocratic heritage!) interact equally strong, no wonder since they've played often together and also married. Their improvisations are short and compact most of the time, with no less than 17 tracks on the album. This compactness also increases the need for a direct interaction, an immediacy of delivering the story rather than expanding on it. The music is more cerebral than the other albums mentioned above, with lots of attention to the formal interchange of ideas. You can call this jazz, or free improvisation, or modern classical, or new music. This is music beyond categories. Enjoy! 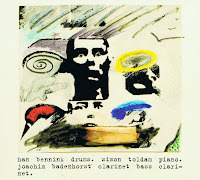 Han Bennink is without a doubt one of the best and also most entertaining drummers in the free improv scene. I should have gone to a concert* by him tonight with this same trio, with Simon Toldam on piano and Joachim Badenhorst on clarinet, but for one or the other reason I couldn't go. Anyway, this is their new album, and one on which the trio shows their broad background in jazz, ranging from blues and swing to wild excursions into uncharted territories. Badenhorst is a promising young Belgian musician, currently based in New York, Toldam an equally talented young Danish pianist. Together, they are younger than Bennink, yet that would be a totally irrelevant comment if it didn't characterize Bennink so well: young in spirit, and really open to learn from the young too. Whether it's the sad Ellington tune "Lady Of The Lavender Mist", or the wild madness of "Myckewelk", you get mature quality or childish fun. And Ellington does come back, with an adventurous rendition of "Isfahan" and the lightly dancing "Fleurette Africaine". The other improvised tracks such as "Reedeater" and "After The March" show a more artistic and slightly darker side of the trio, but the contrast does not disturb the album's unity. An entire album in that style would have received my preference though. The trio is joined by Qarin Wikström on vocals for the melancholy last track "Parken". A really nice album, full of creative craftmanship, respect for music and an inherent sense of fun and joy in every note being played. *Actually the whole evening was a tribute to Bennink with the release of a biography of him ("De Wereld Als Trommel" - the world as a drumkit), a film about him, ("Hazentijd"), the presentation of this new CD, and various concerts. 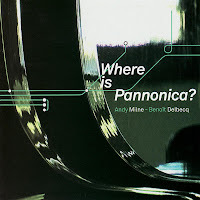 The art work of the CD is by Bennink himself. Han Bennink was on Dutch television on Tuesday in the context of all this tribute work. The world is a drumkit indeed. Unknown to me, this young British free jazz band brings a remarkably mature and highly enjoyable record. Led by Philip Somervell on piano, the band consists of Chris Williams on alto saxophone, Joe Egan on trumpet, Colin Somervell on double bass, and Vasilis Sarikis on drums. The music is built around themes that sound like 60s free jazz, think Ayler or even Coleman, but the music also has this typical European or even British free improv sound, with the major difference that Philip Somervell's piano-playing often acts as a soothening factor, like cream in soup, or a softening factor to counterbalance the once in a while sharp edges. This mix between composed and free moments works very well, both within the tracks, but it is also mirrored in the CD's structure, with long pieces alternated with shorter totally free improvisations. And it must be said: the compositions themselves are great and will be appreciated by the more mainstream lovers, while the free-er parts can really go wild. An interesting blend, full of power, intensity and lyricism. Great band. Great music. Highly enjoyable. On a side-note : the nice art work gives a good representation of the black and white contrasts used in the music, as well as the combination of the abstract and the figurative.